‘When William of Orange prohibited the importing of alcohol to England in the early Eighteenth Century, so began the production and consumption of (domestic) English gin by huge numbers of distillers, the majority being of dubious quality. Its popularity was such, especially amongst the poor, that gin was distilled and sold in one fifth of all London homes. This excessive and uncontrolled consumption provoked a rapid degradation of society, a period given the name the Gin Craze. Shortly after the Gin Act 1736 a family of independent London Distillers came up with an original gin recipe, known ironically amongst themselves as ‘Fifty Pounds’ in honour of the Gin Act levy, which was characterised by its particular smoothness and flavour. Try Fifty Pounds gin here now for £4.20, believe us it’s worth every penny. 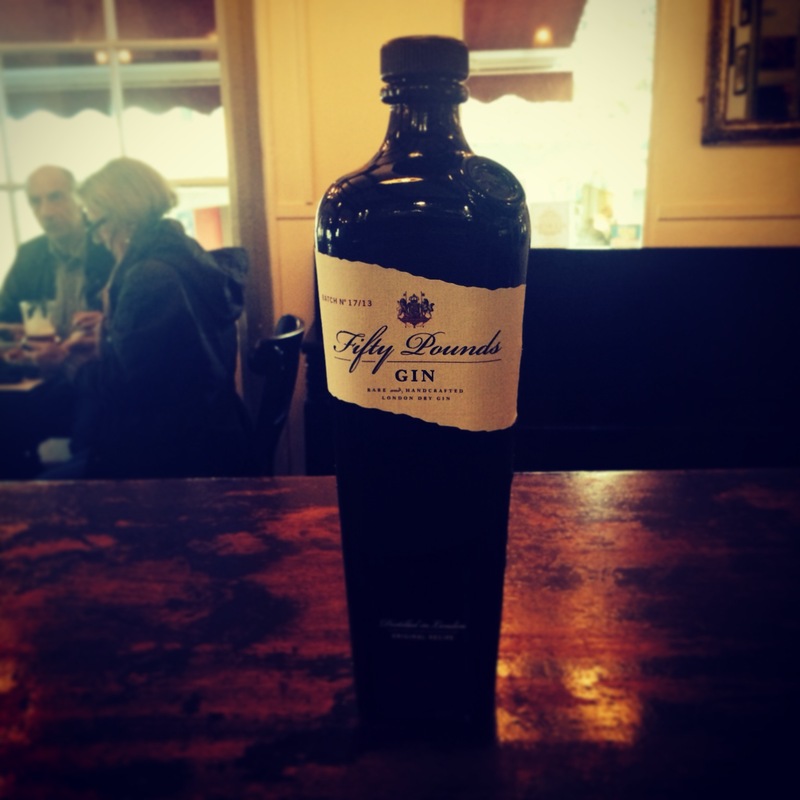 For more information on Fifty Pounds gin click here. Only in this way is the unique & complex personality of Fifty Pounds achieved. ‘Walking up to the Copper House distillery, one is confronted through the windows a vast piece of machinery that looks like something straight out of Willy Wonka’s chocolate factory. 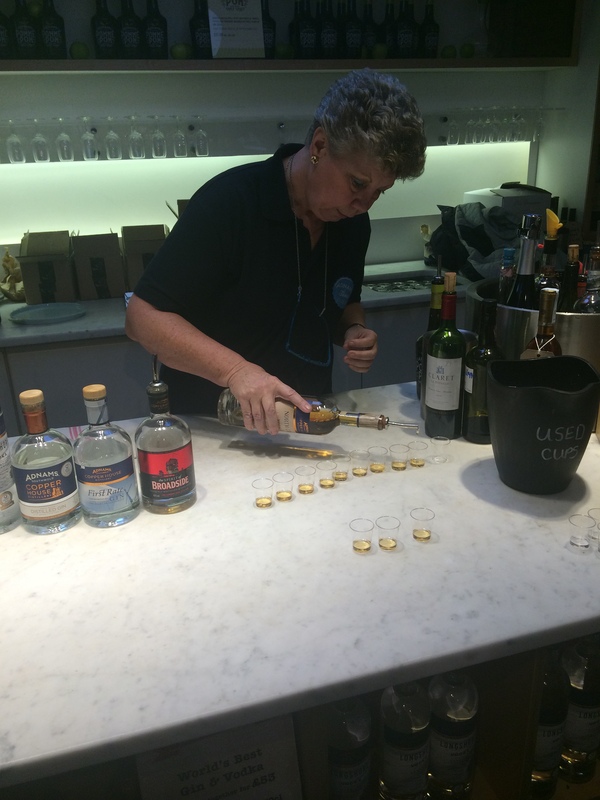 Our very able tour guide Mandy had worked for thirty years in a distillery in Zimbabwe before joining Adnams, and her knowledge of and passion for spirits was evident from the start. She told us the distilling machine, which comprised of tall copper towers entangled with lengths of silver pipes and ship-like portholes, had been a £700,000 investment when the distillery was conceived four years previously. Inside, the large space was filled with the noise and rich smells of the distilling process. In front of us the copper towers seemed to reach up to the sky, with liquid bubbling away cauldron-like inside each of the little circular windows. 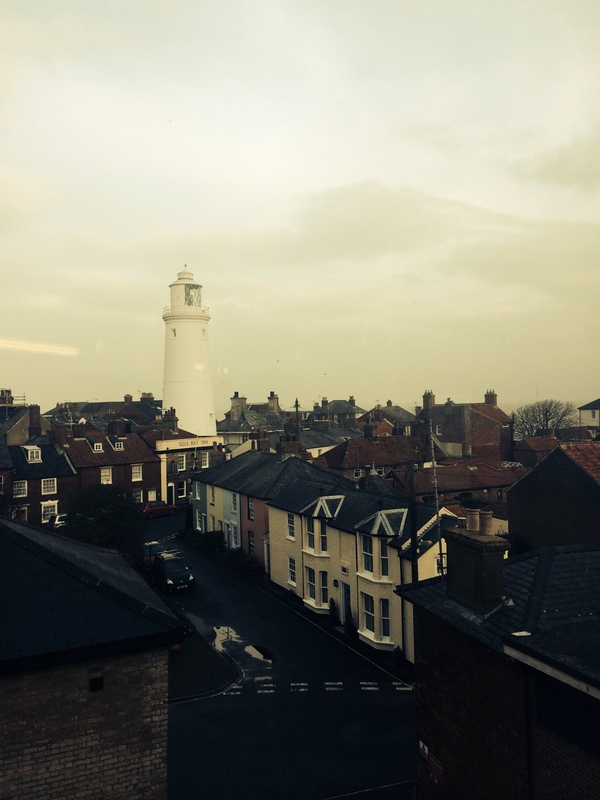 Behind us the large windows allowed us to look out over the Southwold rooftops to the lighthouse and the beautiful seafront beyond. 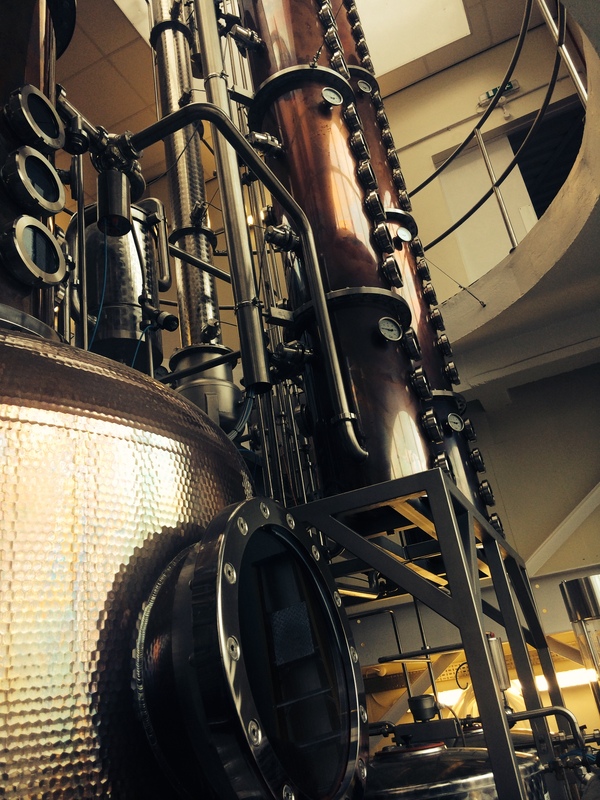 If nothing else, the Copper House distillery is an aesthetically masterful blending of machinery and environment. Over the clanging sound of whirring engines and washing liquids, Mandy explained the distilling process. The base alcohol which goes in to producing the Adnams spirits comes from the same brewery fermentation process which creates their beer – just one of the many ways they maximise efficiency – and all the barley used comes locally sourced from East Anglia. When it finishes life in the brewery, it enters the distillery at a very low abv, less than 7% in fact. Then starts the boiling process in one of the huge stills which works to separate the alcohol molecules from the liquid to increase the volume. Due to this process, it takes a very large volume of base alcohol from the brewery to make small quantities of distilled alcohol for the spirits. The still splits the alcohols due to the weight of the molecules, and first extracted is vodka at 96%, from which all their white spirits are made. The heavier alcohols and oils go on to produce their whisky. From the distilling room she lead us to the laboratory, where the pungent smell of distilling malts made way to the rich aromas of various spices. It is here the head distiller John McCarthy, who – astonishingly – had no experience of making spirits before the Copper House project, tests the flavours which are to make their award winning spirits. In 2013, their Copper House Gin was named best gin in the world at the International Wine and Spirit Competition, and in 2014 their Longshore Premium Vodka won the same title in its category. From here Mandy lead us to the cellars, to show us where Adnams keeps their barrels of maturing whiskey. 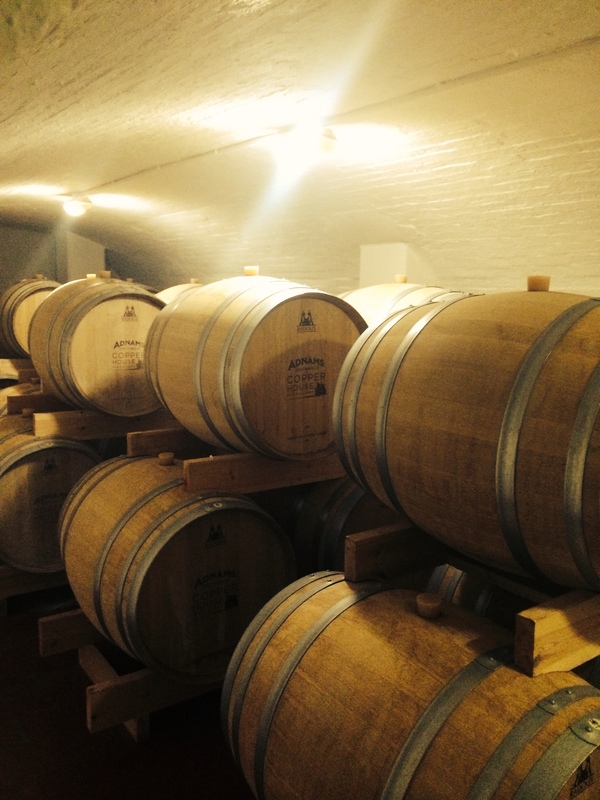 The cellar alcoves are filled with wonderfully crafted new bespoke barrels, each emblazoned with the Adnams logo, and each costing a small fortune and utterly magnificent. Depending on the flavour desired for the different whiskys, the oak used to make the barrels is specifically sourced from different corners of the globe. To learn more about visiting Adnams brewery and distillery click here. We will be stocking the Adnams Longshore vodka as of next week.